Since 2002, Quicklift Rentals and Hitches has served our community with an extensive inventory of tools and equipment, serving both contractors and homeowners. We offer delivery and pick up services, as well as a first in the industry 24 hour emergency rental service. 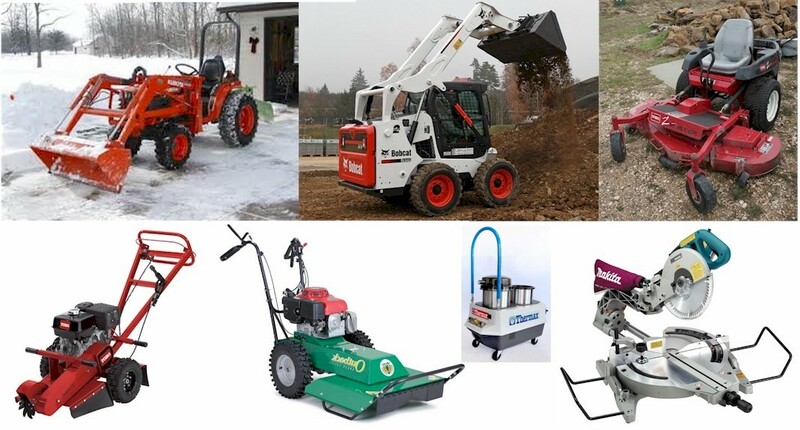 From Floor sanders and paver saws, to front end loaders and excavators, to lawn and garden equipment, to staging, ladders and lifts.... if you need it.... we have it. Get your best price and then Call US! 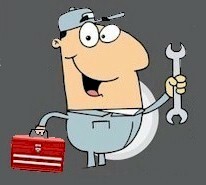 Mr. Tule has been installing and servicing Hitches and Towing products for 26 years. We carry ALL major brands of towing products. We Guarantee the BEST PRICE on any Hitch Installation. Since 1994, as the owner/manager of Quicklift Towing and Auto Repair (at Goffstown Mobil), we have acquired extensive repair experience on engines large and small. From general tune ups, to maintenance of snow blowers, lawn mowers, lawn tractors, engine rebuilds of chainsaws, rototillers... we do it all! Quicklift has served the 'do it your self moving' industry since 1989. As an expert in tne industry, we offer extensive experience in qualifying and meeting all of your moving needs. Manchester, Sutton, Antrim, Bennington, Hancock, Bradford, Contoocook, Hopkington, Bow, Warner and other area towns. 3 Point Hitch, by County Line - 2-5/16 inch Ball Hitch Type - Category 1 Product Material - Steel Product Type - Trailer Mover Product Weight - 47 lb. Air Purifier, by New Comfort - Dual mode stainless steel high end Air Purifier Ozone Generator produces up to an amazing 7000/mg per hour of Ozone. The dual mode system allows you to use either 3500 mg/hr or 7000 mg/hr. Its up to you depending on what you are trying to clean and the size of the space. Cleans up to 6000 square feet of space. Made from industrial grade Ozone resistant 100% stainless steel chassis, Ozone resistant rubber feet, Ozone resistant wiring and 110 volt removable ground equipped AC power cable. New Comfort Air purifiers is the leader in top of the line Ozone machines and this is their top of the line model that can clean the worst of jobs. This is one of the only models on the market today with UV as well. This allows you to clean your air as it passes through the fan. Auger - One man, by Grace - Choice of 4" and 8" bit. Somes with Extensions 4 1/2 ft maximum depth. Auger-3 point, by County Line - Attach the CountyLine Post Hole Digger to your tractor for quick digging. Bits - SDS Drill, by Bosch - Fits SDS chucks for hammer drills. Carbide tipped. Available in 5/16" dia thru 1 3/4" dia. Usually 12" length. Pricing is per Bit. Bolt Cutters - 30 in, by Hit - Cuts up to 7/16ths inch diameter For general purpose use, designed for cutting medium steel and soft bolts, nuts, rods, chain, etc. Maximum hardness of material to be cut: Brinell 370/Rockwell C42, 85 Tons/Sq. 133 Kg/square mm. Jaws are made of drop forged high grade alloy tool steel with heat treated, precision cutting edges for longer cutting life. Comfortable rubber handles for gripping firmly and safely. Exceeds U.S. Federal specification number GGG-C-740d Type II. Brush Cutter - Hand Held, by Honda - 10" dia cutting blade. Comes with harness. Brush Mower w/3 point hitch, by John Deere - 48 inch hitch mounts on all Category 1 - 3 point hitches. PTO Driven. Carpet Kicker, by Roberts - The 10-412-2 Deluxe Knee Kicker is Roberts’ most popular knee kicker and has been the “industry standard” for over 25 years. Trigger assembly easily adjusts the length from 17-Inch to 21-Inch and the superior die cast aluminum body is lightweight and durable.Features an exclusive non-slip checkered hand grip and a foam-filled seamless bumper pad for extra comfort. Cement Mixer - 2 bag, by Kushlan - 3.5 cubic ft The Kushlan 3/4HP Electric Concrete Mixer features a 3/4 HP single-phase motor, steel blades, flat free tires and a sturdy polyethylene drum that turns at 21 rpm and is capable of holding two 80-pound bags of premixed concrete. A rugged steel frame holds the drum for an easy-to-assemble mixer setup. Drum holds 3.5 cubic feet. Polyethylene drum holds up to 160 lbs. of premixed concrete and is easy to clean Sturdy steel frame for optimal support Simple drive system utilizes high-torque motor Drum features 2 steel mixing blades 225 Pound capacity . Cement Mixer - Towable, by MultiQuip - Hold 5 cubic feet. Chain Saw w/18" Bar, by Makita - A key point of difference is the industrial 2-sided magnesium (not aluminum) crank case for less weight and added durability. For faster and easier starts, the spring-assisted starter with optimized engine management reduces force required for starting. The result is a versatile and durable chain saw with a superior power-to-weight ratio that delivers consistent performance, job after job. Compactor - Soil / Plate, by Wacker - Wacker WP 1550A 23" x 19.5" Vibratory Soil Plate •Premium plates features a tough, wear resistant, ductile iron base plate offering high strength and shock resistance. •Patented computer designed base plate has a tapered bottom and edges for high speed and excellent maneuverability. •Designed for the compaction of granular and mixed materials with some cohesive content in confined areas such as parking lots, highway and bridge construction next to structures, curbs and abutments. Features •Lightweight, high strength aluminum components including the engine console and beltguard have been combined for reduced weight and easy machine handling. •Straight, center-mounted guide handle offers superior maneuverability and can be lowered within inches of the surface to operate plate under obstacles and form work. •High inertia clutch with adjustable shims ensures smoother operation, longer belt life, and simplified belt adjustment. •Many lifting points and front lift cage offer easier loading and unloading for operator convenience. Technical Data WP 1550A Description Metric Inch Length x width x height (handle in working position) 875 x 500 x 965 mm 34.5 x 19.5 x 38 in Lowest working height 510 mm 20 in Size of base plate (L x W) 585 x 500 mm 23 x 19.5 in Operating weight 88 kg 194 lb Water tank capacity 10,5 l 11 US qt Compacted area 905 m2/h 9,750 ft2/h Forward speed up to 30 m/min up to 100 ft/min Gradeability 30 % 30 % Vibration frequency 100 Hz 6,000 vpm Max. centrifugal force 15 kN 3,375 lb Engine Type air-cooled, 4 cycle single cylinder, gasoline engine Honda Displacement 163 cm3 9.9 in3 Max. power output 4,1 kW 5.5 hp at 3.600 1/min 3,600 rpm Rated power output 3,7 kW 5.0 hp at 3.600 1/min 3,600 rpm Fuel tank capacity 3,7 l 3.9 US qt Fuel consumption 1,8 l/h 1.9 US qt/h Power Train Power transmission from engine via centrifugal clutch and V-belt onto exciter which transmits centrifugal force onto baseplate. Compactor - Soil / Plate, by Wacker - Essential for proper installation of patios, walkways concrete floor preperation, including pads. Concrete Bull Float, by Marshalltown - Comes with 24' extension handle. Float is 48" x 8"
Core Drilling Machine, by Hilti - Diamond coring tool DD 130 to core on reinforced concrete, stone or masonry for every kind of through holes on the floor, walls or ceilings. Electric drive, wet/dry use, on rig or handheld. Core bit range 16-162 mm. Crimper - Cable, by AGS Stainless Inc. - Crimps 1/16th, 3/32nds, 1/8th and 3/16th cables. Dehumidifier - Commercial, by Dri-Eaz - Compact, mobile standard dehumidifier. This highly maneuverable unit quickly and efficiently removes moisture from everyday spills and reduces humidity in basements, facilities or on construction sites. A proven and durable favorite for almost 20 years. Drill - Right Angle, by Milwaukee - 3 speed reversing, heavy-duty 1/2'' chuck. 7A, 120V AC motor. D handle style. Head and handle swivel 360 deg.. and 8' 3-wire Quik-Lok rubber power cord. Dump Trailer 6' x 12' - 14k, by Load Trail - Includes ramps. 10,000 lb load capacity. Excavator - 10,200 lb, by Bobcat - The Bobcat E45 compact excavator (mini excavator) offers Zero Tail Swing (ZTS). Excavate close to surrounding objectives with unrestricted rotation, greater flexibility and reduced potential for damage to the machine and surrounding property. The Tier 4-compliant E45 can be equipped with an angle blade option, long arm option or clamp-ready extendable arm option. This excavator has an enclosed cab with heater, A/C and AM/FM radio. Excavator - 8,500 lb, by Bobcat - E35 Compact Excavator Delivery and Pickup available for an additional fee. Enclosed cab with Air Conditioning The E35 is a zero tail swing (ZTS) model in the Bobcat® M-Series compact excavators. With ZTS, you gain unrestricted rotation and greater flexibility when you work close to objects or walls. ZTS reduces damage to the machine and surrounding property, giving you lower operating costs. M-Series models provide improved digging performance, more usable power, consistent and smooth operation, and predictable results every time. Stay comfortable in a quieter cab that reduces sound levels by more than 50%. Bobcat engineers and manufactures its own attachments to help you accomplish even more. Floor Nailer - Manual, by Porta Nailer - Speed up the nailing process with the Porta-Nailer hardwood floor nailer. In addition to tongue-and-groove flooring, this mallet-actuated floor nailer can drive and set nails in decorative tongue-and-groove paneling, subflooring, sheathing, and roofing. The unique pawl and ratchet assembly ensures that the ram does not return until the nail is properly seated, preventing the user from leaving half-driven or partially set nails. Its durable construction combines the high strength of magnesium with precision-machined and heat-treated steel parts, making it light, long-wearing, and easy to handle. Floor Polisher - Buffer, by Clarke - 17" diameter polishing area. Clarke 1700HD Super Heavy Duty Electric Floor Buffer, Polisher, Scrubber & Sander is recognized thoughtout the world as "the best in the industy" with over 50 years of quality, durability and productivity. The 1700HD has a 1 HP hand built motor and gearbox with a 1.25 service factor means extra power to meet the challenge to polish, scrub, strip, grind, sanding and other applications. Machine steel, helical-cut planetary gears provide smooth transmission of power to the floor. Oversized bearings and seals give the gearbox unit decades of trouble free performance. Die cast aluminum housing is 5 times stronger than sand castings. Ergonimic handle for operator comfort with dual, independent micro switches reduce down time. Handle locking device insure safe operation. Large non-marking wheels, 360 degree non-marking vinyl bumper protects floor, walls and furniture. Floor Polisher - Buffer, by Clarke - 13" diameter polishing area. Floor Sander - Oscilating, by Alto - QUANTITY 2 Totally enclosed 1 HP dual capacitor motor is fan cooled to eliminate overheating 3450 orbits per minute sands faster than any other orbital sander available Heavy duty cast aluminum main frame and pad driver plate for added strength Bristle dust skirt and independent dust pickup fan for effective dust containment Torque-less operation for enhanced operator comfort Norton Sand Paper Grits available: 36, 60, 80, 100 and 120 Note: Proper driver pads must be puchased for an additional fee. Floor Tile/Carpet Stripper, by General Equipment - FCS16 Rip-R-Stripper, an eletric-powered floor-covering scraper. Ideal for removing such materials as carpet, ceramic tile, linoleum, the Rip-R-Stripper offers high productivity, ergonomic design and multiple removal accessories. Built with a 3/4-horsepower, 115/230 VAC, 60Hertz electric motor, the Rip-R-Stripper features high productivity, yet low noise levels. With an exciter unit mounted directly to the driveshaft, the scraper uses downward force to bore into and strip away the applied floor covering and adhesive. External weights can be used to provide extra force for removing tough residue and to increase material removal rates. Producing less than 70 dBA (decibel level), operation noise is quiet and safe. Ergonomic design provided a more pleasant operator experience to increase work stamina and minimize occupational injury. The comfortable operator's handle offers a full-width, tubular constructions that increases leverage and control, while the handle-grip configuration is designed to optimize wrist strength and reduce fatigue. The adjustable handle height caters to operators of any build, helping to prevent lower back strain. Further increasing safety and productivity rates, the Back-Saver blade control system allows adjustment of the blade angle during use. This eliminates having to stop the machine and manually change blade angles or adjust linkages. Floor Tile/Carpet Stripper, by General Equipment - Removes almost any accumulation from concrete or wood floors and leaves surface smooth and ready for refinishing. A single, razor-sharp blade that oscillates 2000 strokes per minute quickly and safely removes virtually any kind of floor covering. This stripper is easy to operate, and can be mastered by a beginner in just minutes. Simply plug it in and turn it on. No strenuous effort is required. "The Stripper does the work." Just raise the wheels slightly off the floor. No hard pushing. The action created by the machine goes to the blade on the floor, not to you! Generator - 1800 watts, by Homelite - Use pure gas if available. Ethanol = poor engine performance. Use fuel stablizers with Ethanol treaments. Generator - 5000 watt, by Honda - AC Output: 120/240V 5000W max. (41.7/20.8A), 4500W rated (37.5/18.8A) iAVR Output: 7000W (58.3/29.2A) for 10 sec. Dimensions (L x W x H) 41.9" x 27.2" x 29.2"
Generator - 5000 watt, by Honda - Displacement 389cc AC Output 120/240V 5000W max. (41.7/20.8A) / 4500W rated (37.5/18.8A) iAVR Output 7000W (58.3/29.2A) for 10 sec. Receptacles 20A 125V Duplex (2), 30A 125V Locking Plug, 30A 125/250V Locking Plug Starting System Recoil Fuel Tank Capacity 6.2 gals. Run Time per Tankful 8.1 hrs. @ rated load, 11.2 hrs. @ 1/2 load Dimensions (L x W x H) 41.9" x 27.2" x 29.2" Noise Level 72 dB(A) @ rated load Dry Weight 214 lbs. Hammer Drill, by Makita - The 2” AVT Rotary Hammer (model HR5212C) has over 45% less vibration than the previous model. It is engineered with enhanced Anti-Vibration Technology (AVT), a synchronized three-component system for significantly less vibration. The result of the enhanced AVT is a category-leading vibration rating. The powerful 15 AMP motor delivers 14 ft. lbs. (19.1 Joules) of impact energy. An added feature is the option of lock-on or trigger-activated in the “chipping only” mode, with a push button start/stop control for more convenient operation. Heater - Room, by EdenPure - Heats up to 1000 Sq. Ft. Heats room evenly, wall to wall and floor to ceiling. The EdenPURE has no exposed heating elements that can cause a fire. The EdenPURE electric heater runs much quieter than other models. New super efficient fan system produces what is termed white noise which blends into a home atmosphere and becomes virtually inaudible. The new fan blades are able to generate higher pressure air flow which pushes the warmer air out further into the room. The EdenPURE heats better. The thermostat has been vastly improved so that it operates within a tighter range of degrees. The EdenPURE's electronic thermostat not only eliminates the problems of a mechanical thermostat, but is set to a much tighter tolerance. This will promote an extremely comfortable, even, stable heat. The EdenPURE infrared heater features digital controls. It has a simple 4 large button control, which turns the unit on, and you set the comfort level that you want, which reads out on the front of the unit. Also has a remote control so you can adjust comfort level without getting up from your chair. GEN4 covers up to 1,000 sq. ft. GEN4: 18" x 13" x 16" – 27 lbs. Fire resistant black polycarbinate and galvanized steel shell. Overheat protection – sensor will shut off heater if it reaches an excessive heat level. GEN4 heater contains 3 Sylvania infrared quartz bulbs. Average life expectancy on units is 10 to 15 years on unit. Filter on the back of the unit is a lifetime filter that can be removed easily and can be cleaned with vacuum attachment or with warm water. Listed by Underwriters Laboratories (UL) File E307136 Uses normal 110 volt outlet and 12.5 amps/1483 watts. All parts and bulbs are serviceable. Jack - Transmission, by Pittsburg Automotive - Transmission jack with a 2000 lb. capacity adjusts from just 5-3/4" to 31-1/2" in height This low-profile transmission jack features an adjustable tilt saddle, four 3" diameter easy-roll casters and a swivel pump handle than can be repositioned in tight spots. Lift up to 2000 lbs. Adjustable tilt saddle Heavy duty welded I-beam frame Wishbone design for extra-low profile 3" all-metal casters Includes 40" L x 1/4" safety chain 145.40 lb. Jack Hammer - Easy Trolly, by Pearl - The Easy Hammer trolley is an innovative tool for fast and easy removal on a variety of flooring including all tiles, thin-set vinyl, wood, cork and much more. No more struggling with trying to handle heavy jackhammers. The Easy Hammer trolley can be easily adjusted to 5 differentpositions and is suited for most demolition jobs. Lawn Aerator, by Classen - 3.5HP BRIGGS I/C Engine When transporting is the issue, this compact and portable aerator is the answer. Folding handle. Four lift handles or tie down handles. Full time self-propelled with easy reach controls. Heavy duty non-relube ball bearings. 17.5" aerating width, fits through 30" gate. Will aerate 23,000 square feet per hour. 24 tines with coring depth up to 3" 2 removable 36 lb. weights One of the most immediately tangible and predictable benefits is that your lawn will have better drainage. Unsurprisingly, putting hundreds of small holes in your lawn will enable the rain or water from your sprinkler or hose pipe to penetrate deeper into the turf where it sits between the grains of soil away from the dehydrating capabilities of the sun and wind. This gives better resistance to drought and dry spells. Lawn Aerator, by Ryan - This drum-style, self-propelled, high-speed precision commercial turf aerator combines performance, durability and ease of use. Commercial grade components like a solid steel axle and hardened alloy steel coring tines ensure years of reliable performance in even the most rigorous environments. User friendly features like the easy-to-operate, handle-mounted throttle and vibration-reducing grips make operation easy and comfortable. Thirty tines spread over a 19-inch swath offer a productive aeration rate of 29,000 square feet per hour. Convenient transportation features such as a fold-down handle and removable weights for easier lifting cap off the long list of efficiency-building features you'll find in this versatile machine. Lawn Mover - Commercial, by Toro - 60" mowing deck w/ mulching blade hydrostatic drive Includes Pickup and Delivery. Lawn Seeder - Over Seeder, by Classen - The Classen TS-20 turf seeder is a multipurpose machine for seeding a new lawn or overseeding an existing lawn. The front seed drop ensures follow-up soil coverage for better seed germination. The blades are designed with a cutting edge on both ends, which doubles blade life. Classen turf seeders convert in minutes to a rake with catcher bag or vertical cutter. This Classen unit featurers a Honda Engine. Leaf Blower - Hand Held, by Troy Bilt - Engine Brand Troy-Bilt Starting System Recoil Start HP/CC 31 cc Cycles 2-Cycle Blower Air Speed (mph) 205 Volume of Air (CFM) 425 Speed Settings 1 Weight 14 Lbs. Leaf Blower - Walk Behind, by Little Wonder - 38% More Air Movement Than the Competition Little Wonder Optimax blowers are the best-designed blowers in the world… known for unmatched leaf-blowing efficiency. Little Wonder Optimax blowers outperform the competition for moving stubborn debris, removing standing water, preparing asphalt or flat roofs for resurfacing, or for any job that requires hurricane-force air! Durable, solid-steel construction… they’re built to last and are backed by a 5-Year Warranty. Material Lift - 12' - 450lb, by Sumner Mfg - Lifting capacity up to 450 lb (200 kg)One piece construction - no loose pieces. Extremely portable for one man operation. Fits in most vans and SUVs. Metal Brake - 10 ft, by Van-Mark - 10' long, for bending metal and aluminum. Sliding Cutter to ride on track also available. Nail Gun - Staple Gun, by Bostich - QUANTITY 2 Extreme-duty, high cycle design (requires oil) Composite frame/aluminum magazine Narrow nose for improved line of sight Weight 2.4 lbs, 1.09 kilos Driving Power 145 in/lbs @ 100 psi Fastener Gauge 18 GA SX Staples Fastener Range 1/2" to 1-3/8"
Paint Sprayer - Airless, by Grayco - The Graco 190ES is an outstanding choice for painting contractors because it delivers more performance and durability for the best results. With a commercial-grade motor and heavy-duty pump section, the Graco 190ES is built for long-life – and easily handles the demands of large projects or heavier coatings. The ideal multi-purpose sprayer for painting professionals with weekly spraying needs. Sprays light to heavy coatings from stains to 100% acrylics. Professional-grade Dura-DC™ Motor offers the longest life in its class. Industry-proven commercial-grade chrome and stainless steel piston pump for long life and corrosion protection. Helical gear drive system – offers the quietest operation available. Choose from a Chrome-plated Cart with fold-down handle or a Stand-Mount with carrying handle. Cart unit includes large capacity hose rack which holds up to 150 ft (46 m) of hose. Paint Sprayer - Airless - HVLP, by Milwaukee - The new Milwaukee; M4910-21 Airless/Air-Assist Paint Sprayer offers superior performance in innovation, durability, power and ergonomics. With the unique ability to offer airless spraying and Air-Assist fine finish spraying, this unit is in a class of its own. In airless mode, the 3000 PSI piston pump maintains pressure as needed for a variety of materials including unthinned latex. Air-Assist allows the 2-Stage turbine blower to provide the perfect finish. With included Dual-Action™ Pistol-Grip Sprayer, you can easily switch between airless and air-assist applications. This pistol-grip sprayer is equipped with a 619 and 310 reversible spray tip and also accepts standard spray tips. The Milwaukee Airless/Air-Assist Paint Sprayer accepts most competitor spray tips and high pressure hoses. The base and included container lid are compatible with a five gallon paint bucket that is easily transported over rugged terrain. The M4910-21 includes a 2 year limited warranty. Not available for sale in Canada. Pallet Jack, by Uline - 48" Lifting surface 27" width, outside to outside 3 position hand control - Raise, lower, neutral. 3" lowered and 7.5" raised height. 7" polyurethane steering wheels. 3" polyurethane fork wheels. 210° steering arc. Total Unit Length: 61" Actual Fork Size: 48 x 26 1/2" Fork Width: 6 1/4" Distance Between Forks (Inside): 14 1/4" Fork Thickness: 1 3/4" 7" polyurethane steering wheel: H-1043-B8 3" polyurethane fork wheel with bearings: H-1043-WHKIT WHEELS: * Non-marking wheels. HEIGHT: * Overall: 47 1/2"
Pex Hand Expander Kit, by Uponor - The ProPEX Hand Expander Tool features tool-hardened heads, providing a more consistent and even expansion of the tubing. The ProPEX Hand Expander Tool Kit includes 1/2", 3/4" and 1" heads, tool lubricant and a sturdy carrying case. Note: The 3/8" and 5/8" expander heads used in Wirsbo Radiant Floor Heating systems are sold separately. Pipe Cutter - Lolly, by Ridgid - Fast, clean pipe cutting by hand or power. Extra-long shank protects adjustment threads, while an extra-large handle is provided for quick, easy adjustment. Second handle on 3-S, 4-S and 6-S models makes two-man leverage possible on large pipe sizes. Pipe Threading Kit, by Westward - Racket for driving dies and 1/2", 3/4" and 1"
Puller - Slide Hammer Kit, by Ampro - The Slide hammers Kit extracts flange type rear axles, semi floating rear axle bearings, balancers, and other press on parts. Also, with its 2 and 3-Inch internal and external jaws it can remove gears, outer races, grease retainers, oil seals, and other internal and external pulling jobs. Pump - Submersible - 2", by MultiQuip - Comes w/50', 2" dischange hose 72GPM, 1" Solids, 34' Head, 1/2hp Addition hose length available. Sander - Palm Sander, by Milwaukee - The Milwaukee 6020-21 1/4-sheet palm sander features a 3.0 amp permanent magnet motor with 14,000-orbits per minute. This powerful, lightweight motor produces dependable speed and power. The pad cushioning and break reduces swirl marks and ensures a smoother finish. This sander also has a tactile rubber top and body along with a narrow sander body. The ergonomic design provides added comfort and control and reduces user fatigue from any angle. Large paper clamp tabs allow for effortless paper changes. The integrated vacuum ports support 1-1/4-inch or 2-1/4-inch I.D. vacuum attachments with an in-line dust port with flexible dust collection bag to capture the maximum amount of dust without compromising site line. Features a removable top for easy service and brush replacement. Saw - Circular Saw 16', by Skil - The biggest worm drive saw on Earth tears through whatever you throw at it. This beast of a saw boasts a 6-1/4 In. cutting capacity to power through 6x in one easy cut. Saw - Jamb under cut, by Crain - Multi-Undercut Saw This versatile saw undercuts along walls, door jambs, under toe spaces, and will also fully undercut inside corners. The height of cut is easily adjustable from flush to one inch above the floor. The large, flat base prevents tipping and assures accurate, level cutting.The dual-angle depth gauge is a Crain exclusive and allows undercutting at a straight-on or a 45° angle. A visual adjustment scale provides precision depth control at 1/8" increments. Each saw comes with a 36-tooth No. 556 Carbide Blade. The blade is bell-shaped for added rigidity and should not be used on any other saw. Also comes with custom molded carrying case and a spanner wrench for blade removal. Detailed instructions and one-year guarantee are included. Skid Steer (Walk Behind) Bobcat MT55, by Bobcat - The Bobcat® MT55 mini track loader tackles big jobs in close quarters with impressive traction and lifting abilities. It turns quickly in its tracks, treads lightly over soft ground and provides endless work-saving opportunities. The MT55 can complete a long list of jobs. Use it for trenching, digging, carrying materials, demolition, site preparation, snow removal, utility installation, sweeping, stump grinding and more. Equip the MT55 with either the Common Industry Interface (CII) or the exclusive Bob-Tach® mounting system. The Common Industry Interface design allows you to pair the MT55 with many attachments you may already own and use, while the Bob-Tach mounting system delivers rapid attachment changes and superior attachment fitment. Tractor - Loader, by Kubota - Kubota 26 HP Diesel Tractor with front end loader and York rate. Tractor - Loader/Backhoe, by Kubota - 4 WD Tractor. Hydrostatic transmission. Extremely fuel efficient Diesel Engine. From landscaping to construction, experience maximum versatility in Kubota's B26TLB utility tractor. Loaded with a 24.3 HP Kubota diesel engine, standard 4-Wheel Drive and sloped loader arms and hood designed for improved visibility on the work site, the B26 takes productivity to the next level. Transit Level, by Nikon - Compact and lightweight (1.25kg/2.8 lbs.). The powerful 24x telescope has a 30mm objective lens for clear, bright images in an erect and unreversed orientation. The minimum focusing distance of 0.75m/2.46 ft. lets you work even in confined places. Standard deviation for a 1-km double-run level is just 2.0mm. Trencher - Self Propelled, by Barreto - The 712MT micro trencher features a unique automatic wheel drive propulsion system. This trencher utilizes a load sensing hydraulic valve to adjust the trenching wheel speed to the load on the digging chain. When the load on the digging chain increases, the sensing valve sends less oil to the wheel drive motor and the wheel speed will automatically slow down. When the load on the digging chain decreases, the sensing valve sends more oil to the wheel drive motor and the wheel drive speed will automatically increase. This keeps a constant load on the engine, regardless of the depth of cut or differing soil conditions. Not only does this help the trencher run at optimal efficiency, it reduces stress on the components, increasing their longevity. Trowell - Powered, by Wacker - The 36" - 5 HP concrete walk behind trowel is the industries most popular trowel. Wacker Neuson for the first time is offering a completely assembled trowel with adjustable, folding, twist pitch handle and lifting hook already assembled so this trowel is ready for the slab as soon as it arrives. Plus Wacker offers a 2 year warranty on the trowel and a 5 year warranty on the handle. Technical Data Designed and built with the most advanced technology, Wacker's walk-behind trowels offer high quality finishing and added operator safety. The patent-pending gearbox brake, gyroscopic safety sensor and engine speed limited provide triple protection to the operator. This unique system minimizes runaway handle •Trowels feature a 30-degree blade pitch for better concrete burnishing. •Guard ring features tubular framing for easy cleaning and maintenance. •Dynamically balanced trowels (when blades are turning) offer nearly effortless operation. •Optimum weight distribution reduces the lateral force from the trowel for reduced operator fatigue. •Model = Honda GX160 •Trowel diameter = 36 •Number of blades = 4 •Speed range = 60-125 •Length x width x height = 79 x 36 x 41 •Engine Type = air-cooled, 4 cycle, single cylinder, gasoline engine •Fuel consumption = 1.9 •Fuel tank capacity = 3.8 •Operating speed = 3800 •Pitch range = 0-30° •Piston displacement = 9.9 •Max. Rated Power at Rated Speed* = 4.8 hp at 3600 rpm •Power Rating Specification = SAE J1349 * Includes handle and lifting hook already assembled. Vacuum - Wet Dry, by Shop Vac - With up to 6.5 peak hp, this vacuum gives you the extra boost you need to clean up anything from dust to standing water. Features a powerful motor, a cartridge filter that works for both wet or dry pickup, a dry-wall filter bag that allows fine dust pickup, and a 2 1/2"D x 6'L heavy duty hose. The 18' power cord is kept out of the way by the on-board cord wrap. Side and top handles and rolling casters make moving the vacuums easy. Weighs 25 lbs. Welder - Stick Welder, by Lincoln - Portable AC Welder AC Generator. Its great for homeowners and anyone who needs portable AC stick welding and AC generator power! Low-Lift Grab Bars Patent Pending More leverage for lifting unit on and off truck beds. Extra protection against product damage. Best in class feature! 1-1/4 in. 32 mm Diameter Rugged Tube Frame Great for all-around sturdy protection. Largest diameter tube frame in its class! Best in class feature! AC Welding with up to 1/8 in. 3.2 mm Stick Electrode Up to 140 amps of AC output for many applications. 5,500 Watts Surge 4,000 Watts Continuous AC Generator Power Many uses! Grinder, work lights, pump, motor starting, or emergency power. Plug in a Lincoln POWER MIG 140C for wire welding.